German pancakes are our New Year's Day breakfast tradition. We are kind of obsessed with them. 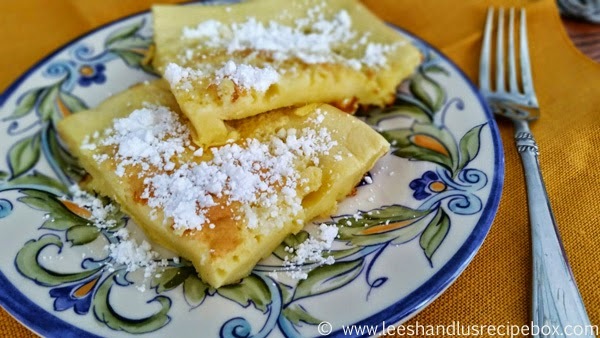 Have you had German pancakes before? There are probably a zillion recipes for them. These are the favorite at our house. The whole family enjoys them! My 4 year old gets particularly excited that we have powdered sugar to sprinkle on them. I think that's the only food we do that with, so it's pretty fun for her. This recipe can be halved and put in an 8x8 inch pan. We bake this size recipe in a 9x13 glass pan. You can also choose how buttery you want them. The recipe we have is from an old family friend of my husband's family. The recipe calls for 6 tablespoons of butter. When we made them today we used 3 and they were delicious. But if you really want that yummy pancake swimming in butter, then use 6. You can kind of change the texture and thickness of these too. You can also bake them on a 11x17 baking sheet for less time and they will be a bit thinner. I'm a huge fan of the 9x13 size. It gives them the perfect thickness, I think. Top them with your favorite breakfast toppings, fruit, syrups, jam, etc. Topped with a sprinkle of powdered sugar, they are just perfect for me. 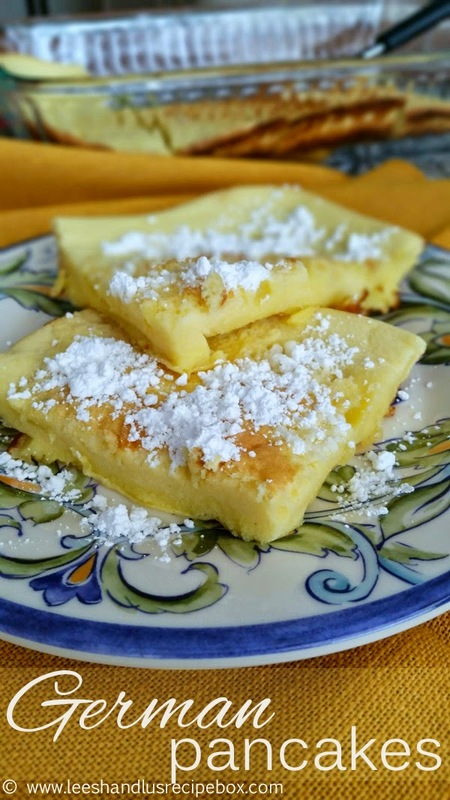 I love when the powdered sugar melts into the buttery pancake, it gives it a creamy texture that I just can't resist! Mmm, I think I need some more this morning. German pancakes are probably one of my favorite breakfasts. I hope you'll enjoy them as much as me! Hope you have a happy 2015 - filled with good food and wonderful memories! Melt butter in a 9x13 glass pan. Combine remaining ingredients in blender and blend until smooth. Pour blended mixture into the buttery pan. Bake 15-20 minutes, until golden and egg is cooked. Check doneness with a toothpick if you like. It should come out with hardly anything on it. Serve with powdered sugar, maple syrup, buttermilk syrup, berry syrup, jam. Whatever you like top it on the pancakes! From the Hogan Family, a family friend of my husband’s family. Yummy! 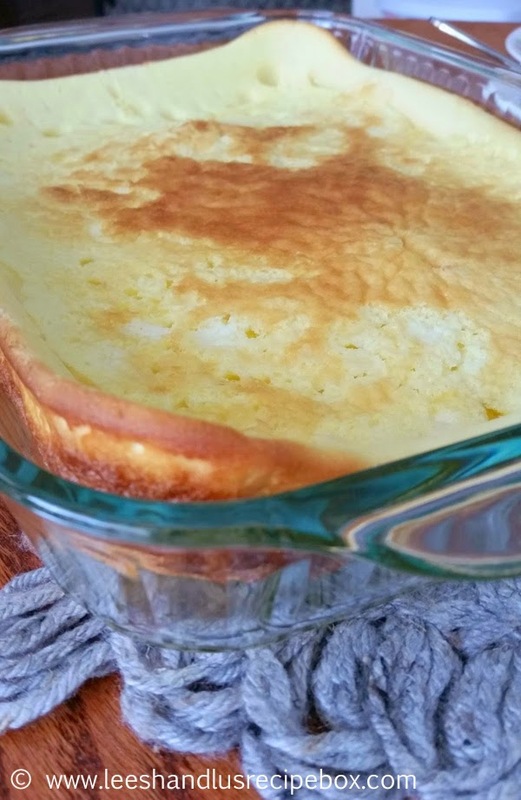 I love German Pancakes and so do my kids! We have them often for Brinner and use 1/2 whole wheat flour with good results. These look thick and delicious! I'll have to give this recipe a try.